Sorry... the 2017 Nissan GT-R is no longer being sold as new. Instead, take the first step to a great deal on 2018 Nissan GT-R with a free price quote! The Nissan GT-R is the automakers supercar that features all-wheel drive and a 565-horsepower V-6 engine. It competes with the Porsche 911, Chevrolet Corvette Z06 and Dodge Viper. The GT-R gets new styling that incorporates the automaker's latest design cues, more power from its twin-turbo V-6 engine and a more upscale interior. 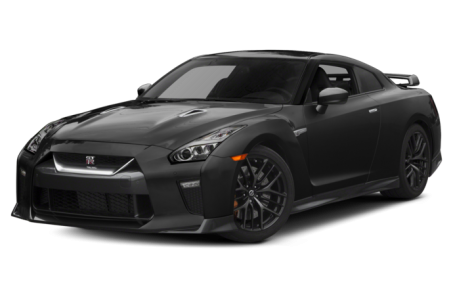 Introduced in the U.S. as a 2009 model, Nissan has updated its GT-R supercar for the 2017 model year with new styling that incorporates the automaker's latest design cues, more power from its twin-turbo V-6 engine and a more upscale interior. The 2017 GT-R adopts Nissan's new front-end styling theme with a subtle version of the brand's V-motion grille, worn by other cars such as the recently redesigned Maxima sedan. Besides the new grille, the GT-R gets a new hood and front bumper. Additionally, the side sills have been widened for better airflow and the rear has been restyled, though the changes to the tail are minor. The GT-R's signature circular taillights remain, and it rides on new 20-inch forged-aluminum wheels. The changes to the cabin are more significant. There's a new dashboard wrapped in Nappa leather, and Nissan has simplified the controls, reducing the switch count from 27 to 11. There's also a new 8-inch touch-screen multimedia system that can be operated by a console knob controller, similar to BMW's iDrive. Nissan also has moved the shift paddles from the steering column to the redesigned steering wheel to make them easier to reach midturn. The GT-R's hand-assembled twin-turbocharged 3.8-liter V-6 engine now makes 565 horsepower and 467 pounds-feet of torque, which is 20 hp and 4 pounds-feet of torque more than it offered in its previous standard configuration. (Nissan also has sold a GT-R Nismo rated at 600 hp and 481 pounds-feet of torque.) To get the extra power, Nissan said it modified the ignition timing and increased the turbocharger boost pressure, resulting in better acceleration from 3,200 rpm on. Nissan says the six-speed dual-clutch transmission shifts smoother and is quieter. Other changes include improved body rigidity, a quieter interior and an updated suspension that enhances both cornering performance and ride quality, according to Nissan.